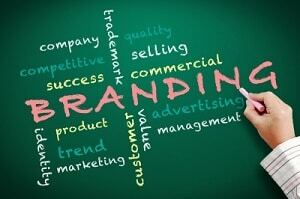 How can Personal Branding benefit your career? We all know that job seeking can be one of the most frustrating tasks in our career. Compiling a CV and typing up dreadful cover letters can take up all of your free time, with the result of being ignored by over 90% of the perspective employers. For once, try to switch perspective. Try to think like a recruiter. Recruitment can also be a hard, frustrating task. For instance, Costa Coffee (a popular British coffee shop chain), recently received over 1700 applications for eight barista jobs in Nottingham (source: http://www.guardian.co.uk/society/2013/feb/19/eight-jobs-costa-attract-1701-applicants). Going through dozens of CVs and Cover Letters, all typed up in Times New Roman on a white boring page, can be even worse than job seeking. All applications look similar, and decision making can become extremely difficult and overwhelming. At this point, you’ll decide to go the easy way. You’ll pick the few candidates that stand out from the crowd, and call them up for an interview. Starting from this reasoning, Go Brand Yourself, a presentation going viral on SlideShare, explains how job seekers can benefit from 5 Branding principles. The presentation shows in 5 easy steps how to build a strong Personal Brand based on one’s unique skills and identity, and how to leverage this newly built Brand to stand out during the application process. Also, Go Brand Yourself was created to give some inspiration to those who are currently struggling with their job seeking, and to give a practical example of how creativity and Personal Branding can really make you stand out of the crowd. Go Brand Yourself was uploaded on SlideShare on Sunday, and in less than 5 days it received more than 20.000 views. This seems to suggest that Personal Branding can really work, not only in job seeking, but also in boosting your online presence. Author Bio: Lorenzo Galbiati lives in London, where he works in Marketing Research and Strategy. He’s the author of Go Brand Yourself, and is extremely excited about the positive feedback that his work is currently receiving. Lorenzo is now building a personal blog and thinking about his next presentations.